Travelling can be a wonderful experience when you rent a car. But not always. After 30 trips to France, I guess it was time for me to have an awful experience. 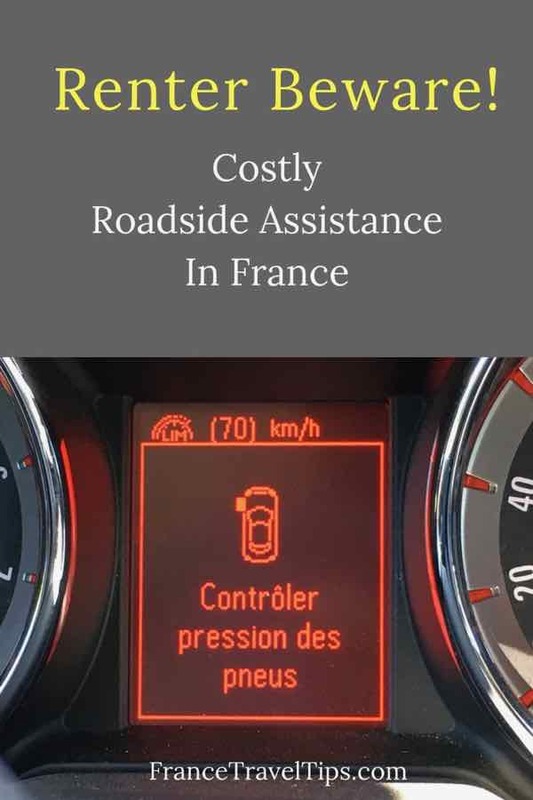 My roadside assistance experience in France was not just stressful, but a shock to my wallet. 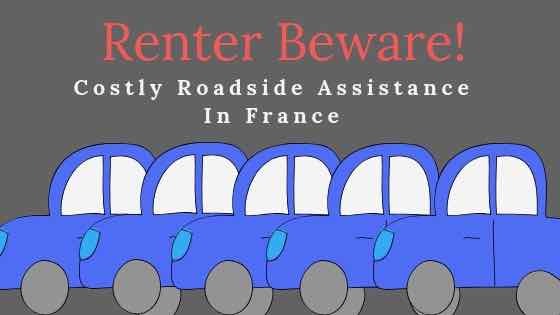 I have a little story nightmare to share with you about renting a car in France. Hopefully, you’ll never encounter the types of problems I did, but if you do, you’ll understand what to do to navigate the difficult task of renting a car and dealing with road assistance issues. 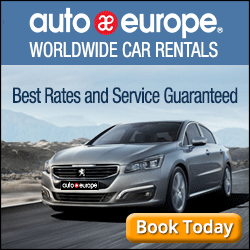 I always book my car rental through AutoEurope. They work with all the major car rental companies and have always had the best prices (Note: although I am an affiliate of AutoEurope and earn a commission on rentals made by my readers, I’d still use them regardless). I chose Hertz due to its worldwide reputation and price and did not add on any extra coverage as my Visa credit card included the collision damage waiver. Important note: Only collision damage was covered. Nothing else. The rental was for 10 days, picking up the car in Lyon and dropping it off in Avignon. I headed south from Lyon towards the Ardeche (Vallon Pont d’Arc) where I was staying and within two hours into the journey I saw a flashing warning light on the dashboard. I drove to the next service centre and tried to figure out what the warning light meant. And that French message, “Contrôler pression des pneus”? = “Check tire pressure”. Warning light in the car. 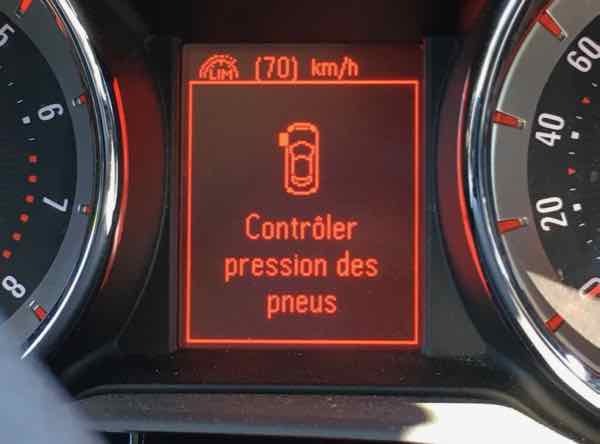 “Contrôler pression des pneus” = Check tire pressure. Important note: all car instructions were in French until I was able to change the language to English. When I realized the problem was related to the tires, I tried to check the pressure but did not have a tire gauge. I was able to get help from the service centre manager. He showed me how to check my tires and add air. use of the air pressure machine is FREE and to get a reading on your tires, you just push the nozzle into the tire. The needle will show the current pressure. air pressure in France is not measured in pounds but rather kPa (kilopascals). It turns out the tire pressure in one of the tires was low. After adding air, the car’s dashboard still showed a problem with the tire pressure. The attendant and I checked and double checked the pressure on all the tires. They were fine but the car’s computer wasn’t registering. Hertz Roadside Assistance fob. Emergency road assistance. Declaration or reporting of accident. I tried calling the roadside assistance number that was on the Hertz key fob but it wouldn’t go through. 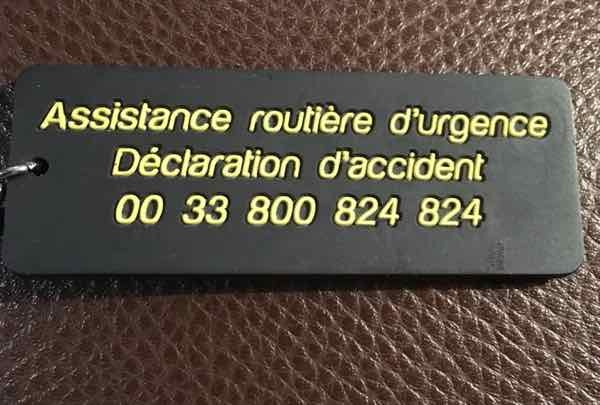 Not all SIM cards for France will permit 1-800 calls. My Le French Mobile SIM card did not. Hertz did not list any other phone numbers even when I texted them for additional phone numbers so I had the service centre call on my behalf. 10 minutes later a tow truck showed up. He checked my tire pressure and concluded that the tires were fine but the car’s computer wasn’t registering. I asked him if it was safe to drive. He said yes. The tow truck guy gave me a bill for 124.83 Euros and said he could only take cash. Fortunately, I had the cash and paid him. He said I could get reimbursed by Hertz. Important Note: I should have called Hertz to confirm that it was okay to pay cash. I then proceeded to drive to my destination during which the warning light was still on. When I arrived at my B and B, the owner, who knew about cars, checked my car and confirmed that yes, the tires were fine but the car was not registering this. For the next 9 days, I always had the warning light on and in the last few days, a beeping warning came on that the gas cap was loose. I was constantly checking the tires and gas cap. I arrived at the Hertz car rental office in Avignon just before it opened. I was determined to get a refund for the roadside assistance payment of 124.83 Euros that I had paid. I explained to the attendant on duty my problem and he deducted some Euros off the remaining cost of the rental (airport surcharge fee). I then proceeded to the office to pay the bill. “For using our roadside assistance”, the salesperson said. “But I already paid 124.83 Euros”, I said. “But this 221 Euros is the charge to use our service”, he said. “So it wasn’t included? Why do you have a roadside assistance phone number on your key fob?”, I asked. “It’s an additional 5.5 Euros per day to get roadside assistance coverage”, he said. I was never offered this option of roadside assistance coverage. I called my credit card company but they said they only covered collisions. If I was in a collision and had to call for roadside assistance, that might have been covered! I had the Hertz rental guy try to call Hertz’s main office but he couldn’t get through. He would not lower the charge. I could not stay any longer to argue as I had to catch a train to Paris. Once in Paris, I sent a private message via Twitter to Hertz but they said, no, they would not reimburse me. I contacted AutoEurope and they said that if Hertz would not reimburse me, that I should contact AutoEurope’s customer service department to assist me. I did and they opened a case and put through a query to Hertz about my claim. For just over 2 months I waited for them to resolve this. I sent an email to the CEO of Hertz and forwarded it to AutoEurope’s customer service and their CEO requesting a refund. I said that I had a lemon of a car and while I had not purchased roadside assistance, I believed some sort of “compassion” was warranted. To my surprise, 5 minutes after sending this email I got an email from AutoEurope saying Hertz would be reimbursing me $390—-not all I had paid, but most of it. I believe it was just a coincidence that I got this reply 5 minutes after sending my email. AutoEurope wrote: “…..who have forwarded their most sincere apologies for the billing error, and advise that they have now issued a refund of the roadside assistance charge….”. I tried not to let this rental ruin my vacation. In fact, I only used this rental for 1/2 of my trip in France. I told myself it was only (a lot of) money, I wasn’t hurt, and I hadn’t been in an accident. I am VERY pleased with the help I got from AutoEurope. In the end, I don’t think it was their fault that it took over two months to get a resolution to this problem. They kept in touch with me and even though I tried to appeal to Hertz initially, I believe it was because of AutoEurope’s “clout” that I was able to get some money back. Now more than ever I am very careful when I rent cars. Be sure to ask: is roadside assistance included and if not, how much is it? If you do have a problem with a car rental and you booked through AutoEurope, start with the car rental firm (in my case Hertz) and if that fails, ask AutoEurope to open a case to assist you. If there is no resolution after a few weeks, start sending emails to the car rental firm and AutoEurope. Hindsight is always 20/20 and I was more than patient waiting 2 months. I sent over 16 emails but had to keep waiting for responses. Besides sending emails and making phone calls, also make use of social media. I have often found that contacting a company’s customer service via Twitter messaging can often produce positive results. While I had to escalate the problem to AutoEurope, my initial discussions with Hertz via Twitter did produce some initial, immediate responses. For information about the more interesting and fun things to do in the Ardèche, check out this post for itinerary ideas: What Can You See And Do For 2 Days In The Ardèche? 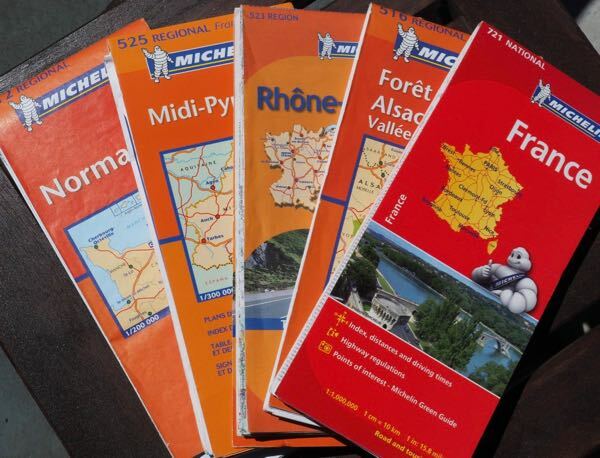 Have you ever had a bad experience renting a car in France? 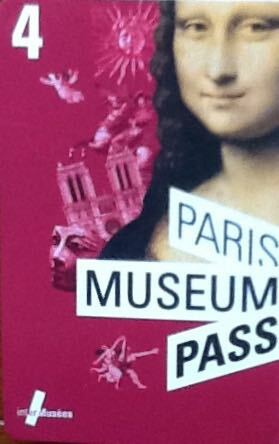 Paris Museum Pass: Good Value? My goodness, what a mess! It almost makes you want to take the train instead of driving. Thank goodness you persevered, but it’s a shame you had to go through this. Thanks. What’s sad is that I was originally planning to take the train, but there was the train strike and I didn’t want to take a chance! We had a similar experience in New Caledonia last year. Although New Caledonia is a Pacific island it is part of France. Our Europcar broke down. It turned out that the battery had failed. Apparently batteries in new cars only last a couple of years and this car was two years old. It would have been such an easy thing for Europcar to have changed it as part of their regular maintenance. I am assuming that they do regular maintenance but our experience suggests not. New Caledonia is quite sparsely populated outside the capital of Noumea. The day before the battery failed we were in an area with no mobile phone reception at all and where the only ‘towns’ were native villages. I hate to think how much hassle it would have been had we broken down there. As it was we were stranded by the side of the road 45 minutes from our hotel – no public transport desperately trying to make ourselves understood in our schoolboy French to Europcar’s assistance people while watching our mobile phone come perilously close to running out of charge. It was also getting dark – just to add to our problems. In the end a local mechanic got us going so we could drive to our hotel which was on its own on a peninsula. Driving there in the dark praying the car didn’t stall was not fun. The next day we spent hours waiting for the Europcar service people only to be told they didn’t bring a battery with them – even though we had explained the problem. We were forced to purchase a new battery out of our own funds from a garage. Europcar told us by phone they would reimburse us when we dropped the car off at the airport in a couple of days. Our biggest mistake was to believe them. Once at the airport with the time pressure of not wanting to miss our flight we were in no position to argue when the person behind the counter point blank refused to reimburse us for the new battery for which we had a receipt. We did eventually get most of our money back once we arrived home in Australia but it was an enormous hassle. My advice on renting a car overseas is – don’t rent from Europcar. Wow and I thought my experience was bad! I said I’d never rent from Hertz again and have always like Europcar. I think all these rental car agencies sadly are the same….out for our money! 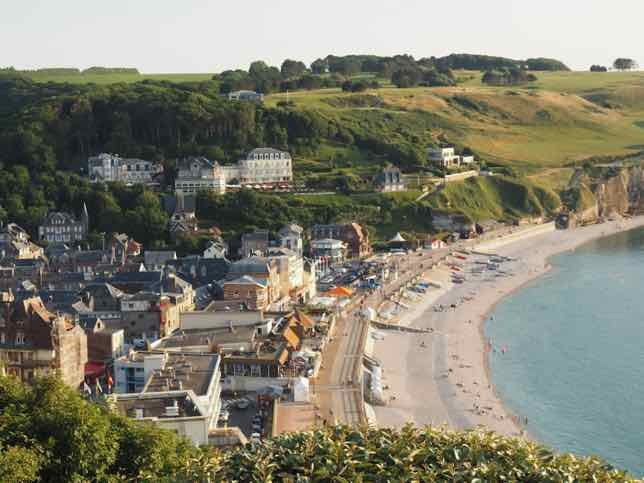 I am planning a trip to France in the Spring. We’ll start off in Paris for 3 days, then head to the Loire Valley for another 3 days. After leaving the Loire Valley, we’ll be off to Belgium. Should I rent a car in Paris for the Loire Valley portion of the trip, then return it to Paris and take a train to Belgium?? Or should I do trains everywhere?? Or, third option, should I take a train to the Loire Valley renting a car there for getting around? I have a reservation at Le Prieuré de Boulogne which is near Blois. We want to see castles, take a balloon ride, taste wine, and see Amboise. I can’t seem to find any info on how to get around once we are in the area so that’s why I thought we would need a car. I would appreciate any advice. Looks like we’ll both be in France in the Spring! In answer to your question, one really should have a car in the Loire Valley. While you could take the train to Blois, as you want to see the castles and do different things, local transportation isn’t very good. You’ll need a car. 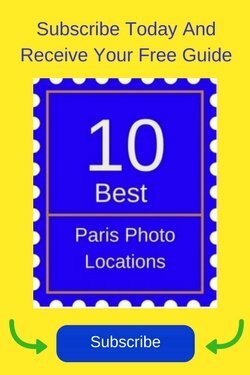 As for taking the train there and then renting a car or renting in Paris and driving there? Part of your decision will depend on what day you are going to the Loire. If it’s a Friday, you might run into traffic driving into the Loire, especially if it’s a long weekend (there are lots in May). The will make your journey longer than it usually takes. If you are not concerned about driving out of Paris I’d rent a car and drive to Le Prieuré de Boulogne. It’s easier just throwing your luggage into the car and take off (vs. getting to the train station which is Gare de Lyon, and getting on and off the train with luggage). Once your time in the Loire is done, you asked about returning the car to Paris and taking the train to Belgium. It’s about a 4 1/2 hour drive from Blois to Brussels, Belgium. You could return your car to Paris but the train to Brussels is from Gare du Nord. You could either drive into Paris (Gare du Nord) and drop off your car there, or, drive to Charles de Gaulle airport, but then you’ll need to take the RER to Gare du Nord. The Thalys train goes to Belgium from there. There are no direct trains from Charles de Gaulle airport. 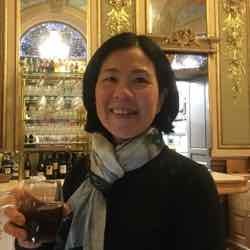 Personally, I would avoid driving to Gare du Nord and I would not want to face the traffic getting to Charles de Gaulle airport and then have to get the RER into the city to catch a train. In all that time I would have driven to Belgium! So, as you can see, driving from Blois to Belgium is easier than doing it by train. Unfortunately i had a similar bad experience last February. I’ve rented a car from Hertz through Auto Europe for a period of 25 days with pick up and return in Chambéry – France. For peace of mind, I opted for insurance with full protection, without deductible, although my Visa Card offers also an insurance. * 20% Sales tax as of Booking Date:……..LiabilityInsurance for injuries or damages to persons or thingsoutside the vehicle. * Rental includes Collision Damage coverage . Rental limitspotential vehicle damage liability to deductible of approximately EUR 0.00. * Rental includes Theft Protection for the vehicle. Rentallimits potential vehicle loss liability to deductible of approximately EUR 0.00. * Wheels, Glass, Tires, Roof, Undercarriage and InteriorCoverage. I had a small accident that resulted in a flat tyre. The owner of the lodge where I was lodged lend me a hand and called Hertz (in french), using the number on the key ring. They then sent an employee to replace the damaged tyre, but at no point was I being told that I should be paying extra nonsense on account of that. That is, the flat tyre became more expensive than the total value of the rental (U$404.00) ! ! ! I complained to Hertz but they say they only cover tires if I book the assurance directly at the counter, which means that the AutoEurope voucher is worthless to them and that I should understand myself with AutoEurope. I’ve just received another email from Hertz, in which they explain that the item called “counter product = €183” is the cost for putting back the original wheel after they have repaired the flat tyre !!!! Congratulations for having your money back.